If not, you are likely missing KEY elements that can take your conversions to the next level. Welcome back to our article series on how to craft high-converting sales emails and letters! In Part 1, we discussed how to speak directly to the prospect to increase the chances of getting your letters read and acted upon. In Part 2 below, we will continue in that vein and talk about proper formatting, an often neglected part of the process. You can get everything else right, but if your letter is not laid out correctly, it will not convert. How would you like your prospects to fixate like this on your sales email headlines? The headline or subject line is one of the most important elements of sales emails and letters. Its purpose is to capture interest immediately and urge the prospect to continue reading. How do you do create an attention-grabbing headline like these magazine covers? One way is to make a specific promise to the reader, a promise that fulfills the readers’ wants and needs. To do this, you need to KNOW your audience and understand your prospects’ wants and needs. We touched on this in Part 1, and it is worth mentioning here again because your target audience research influences the entire writing process. One thing to note here: I am not referring to knowing just basic information such as your prospects’ gender, location and age. You need to dive into deeper emotional demographics that relate to the psychology of the prospect and their pain points, desires and needs. This headline is boring and doesn’t evoke emotion from prospects. What about the people who don’t even know they need lawn services? They won’t open your email or continue reading. The harsh winter season killed their grass and they need a solution to bring it back to life. They don’t have time to maintain their lawn. They envy their neighbors who have nice green lawns and they want theirs to look the same—or better. They feel helpless and inferior because they don’t have the knowledge to do it themselves. They don’t want to look like a neglectful neighbor with a poor lawn. SUPER SLEUTH TIP: One way to test sales letter and email headlines is to send your letters to a small number of prospects first. For example, if you are sending out 150 letters, start with 25 and gauge the response. If the conversions are high, send the remaining 125. If not, tweak your letter and send to another small group of 25. This way, you don’t waste your money sending poor-performing correspondence. You crafted a great headline and your prospects continue to read your emails and letters. Your first job is done. Your opening sentence is critical for conversions as it tells the prospect whether or not your letter is actually something they want to read. It is the lead-in to the rest of the letter. SUPER IMPORTANT TIP: The opening sentence should not mention your company or its offer. I repeat, the opening sentence should not mention your company or its offer. I know you are offering an amazing discount and your services are best in the world, but adding promotional copy to the introduction will turn away prospects. Prospects only want to know how you can solve their problems and take away their pain. That’s it, period, end of story (for real). In the opening sentence, talk to the prospect about the prospect. What does the prospect actually want? What is the after state the prospect hopes to achieve when using your services/product? Notice how the writer appeals to the prospects’ hopes and dreams and their ultimate reason for wanting to take the course. Most people would think that what this offer’s audience really wanted was just to learn more about copywriting. But, this is not the deep need. 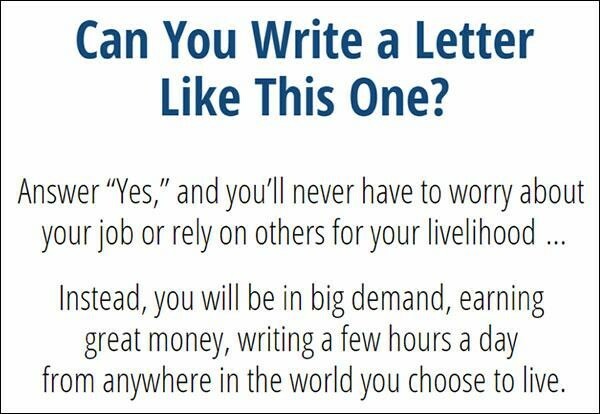 They want to learn about copywriting because what they really desire is to have a better life, to work on their own terms and to be in high demand. In your introduction, use the same research you used for your headline and paint a picture of what your prospect would want their life to look like after using your products and services. Get 25% off your weekly lawn services with our reputable experienced lawn providers. This outlines your offer, but it doesn’t tell the prospect what they can expect after they work with you. And you are still talking about your company, which is a no-no in the opening sentence. Here’s a better example, taking into consideration your prospect’s desires and pain points. Is your lawn the “ugly duckling” of the street? You want your lawn to be the envy of your neighbors, but you don’t have the time or experience to turn it into the lush green paradise you envision. We get it. And we can help. Read both examples and notice how the second gets the reader connected on an emotional level by hitting them with a pain point and painting a picture of what your services could mean for them. 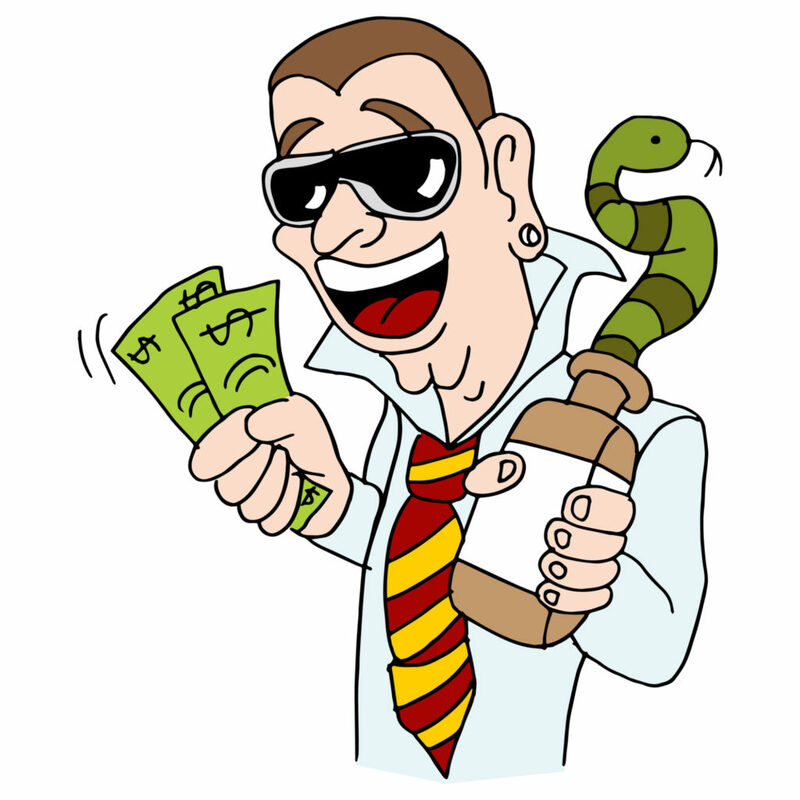 It’s not uncommon for prospects to consider you a snake oil salesman until you can quell their concerns. You can tout the benefits of your products all day, but unless you provide proof from unbiased customers who are not affiliated with your company, your prospects are unlikely to believe you. Testimonials and data that back up your claims are proof that you can be trusted. In the next article in this series, we will dive into more detail on exactly how to add proof so you can show your prospects that your product or service lives up to its claims and eliminate their fears that your offer is a scam. Include your product’s benefits in the body of your email. This is where you can lay it on thick, but don’t be a car salesman. You still need to think about how your products and services benefit them. Our company provides services that kill stubborn weeds. Never pull weeds again. Reduce weeds by 96% and keep them from growing back and overtaking your lawn. Note: It’s okay to talk about your product in the body copy. This is where you want to showcase your offer. You want your prospect to know how great you are. The key is to do it in a way that lets them know you are in service to them, not trying to make a buck for yourself. Focus on their needs throughout and you will compel them to take action. Make your benefits understandable and concise as well. Don’t overcomplicate things. If you have scientific data to back up your claims that your weed-killer product destroys 96% of a lawn’s weeds, show the data. But, don’t belabor on about how you captured the data or why your company is the best data scientist. Keep it focused on the benefit and get out of there. The conclusion is where you want to wrap up the letter/email and offer a call to action. The reader should know exactly what to do to take advantage of the offer you presented. Keep the closer simple and straightforward. Don’t confuse the reader with multiple calls to action. One call to action is all you need. Visit our website greenlawns4you.com to learn more about our services. Call us at 1-800-555-LAWN as well. We also have a short video on our website where you can see befores and afters of people who have used our services. This call to action asks people to watch a video AND contact the company. That is two calls to action and one too many. When people are confused, it introduces friction into the process and may result in NO action at all. Give people one thing to do and remove the friction. If you want people to contact you, give them multiple ways to contact you but keep the call to action to one goal. Visit our website greenlawns4you.com or call us at 1-800-555-LAWN to learn more about our services. To take advantage of this limited-time offer of 20% off your first lawn treatment, visit our website contact page at greenlawns4you.com/contact or call us at 1-800-555-LAWN and mention this offer. Lastly, include a guarantee of your services to eliminate risk in your prospects’ minds and make your offer more irresistible. All of our services are backed by a 100% money-back guarantee. If you are not satisfied with our services, neither are we. If your company is licensed or insured and this is important to customers, include graphics that show this or state it in your letter. 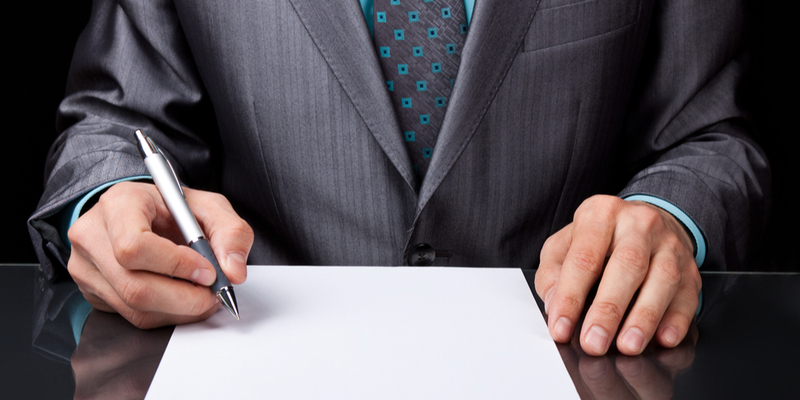 The key is to remove any objections the prospect would have from working with you. Some people skip the main body of the email and go right to the final greeting. To capture these people and get them to stop and go back and read, craft a compelling postscript. P.S. Hurry! This 20% off discount on your first lawn treatment ends at 12 am on Saturday, May 5, 2018. With 20 years of experience working with homeowners in your area, we are happy to transform your lawn into the lush green paradise your neighbors will envy. Visit our website at greenlawns4you.com or call us at 1-800-555-LAWN today to claim your discount. Even if you execute everything we have talked about in this article with perfection, if your content isn’t readable, your prospect won’t get through it. Most people do a quick scan to determine if the correspondence is worth their time. Incorporating eye-catching details will draw your prospects’ eyes to it and allow important points (benefits, offer) to jump out off the copy. Visually appealing imagery—befores and afters and images that display the “after” the prospect can expect when using your product/services. We will get into even more detail about readability in a future article in this series. If you have a sales letter or email to produce, print this article out or bookmark it and go through it step by step to make sure your letter includes each technique. If you already wrote a letter, reread it with fresh eyes, keeping your prospect in mind, and include the elements we listed here. Remember: Writing a sales email/letter is not a quick job. It requires the right research, deep thought and a lot of revisions to get it right. Keep practicing. Stay tuned for Part 3 of this article series where we will discuss how to add social proof to your sales emails and letters. See you there!